The razor clam is one of Britain's most prized of coastal treats. They can be grilled, steamed, broiled or pan-fried to release the delicious flavour within, whether served on their own or as part of a seafood medley. Browse our complete collection of razor clam recipes. For a dish that is both delicate and vibrant, try Morgan Meunier's recipe for razor clams and steamed wild sea bass, served with an indulgent saffron sauce. 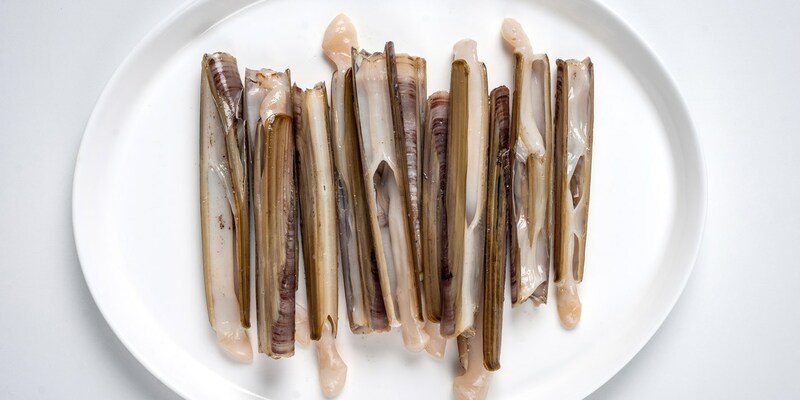 If you want to let the razor clams speak for themselves make sure you source the freshest possible ingredients. Adam Stokes uses complimentary rather than over-powering accompaniments in his razor clam recipe with spring onions and almonds.